Snack-time is very important for kids, ideal for a tasty break and to recharge their batteries. To meet their needs, we decided to expand our UnDueTris Merenda line with two new products: Sports & Gluten-Free! UnDueTris Sport is the delicious new snack specifically designed to give kids the right boost after sports. A source of vitamin C, it's made up of delicious slices of salami, crunchy breadsticks and strawberry and banana smoothie, 97% fruit. UnDueTris Gluten-Free, instead, has been designed for kids’ nutritional needs: delicious sticks of salami, crunchy, gluten-free maxi-breadsticks and peach smoothie with 95% fruit, made without preservatives, in an appetising mix of nutrients. 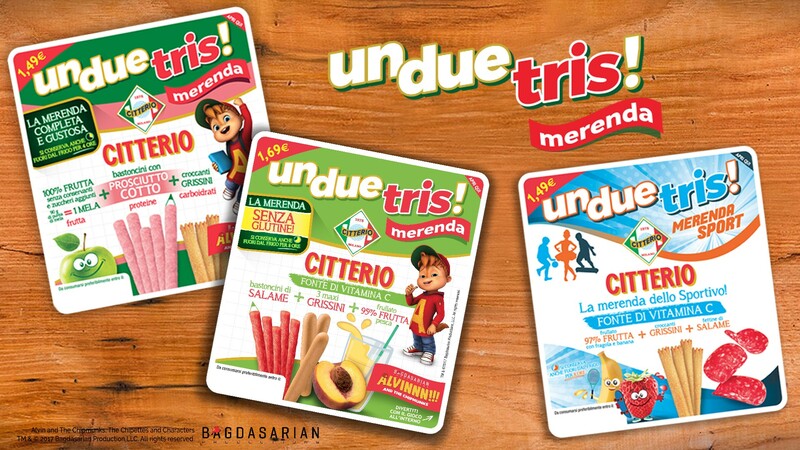 At school, at playtime or when playing sport: UnDueTris Merenda products are handy to carry and can be kept unrefrigerated for a long time (4 hours for the cooked ham version and 8 hours for the versions with sticks or slices of salami). Discover the whole UnDueTris Merenda range!